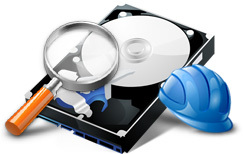 We provide different data recovery utilities to recover data from hard disk, memory card, pen drive, Digital Camera, MP3 players, External HDD, Mobile Phones and other data storage devices. Our data recovery software recovers lost text documents, photos, video clips, audios and other data from various types of data storage media. Data Recovery program performs recovery in major data loss situations including formatted drives, hard disk crashes, power failure, virus/worm infection and other data loss scenario. Professional Recovery software supports recovery of lost files and folders from hard disk and USB flash media. Data recovery utility recovers documents, photos, images and valuable files and folders from various kinds of data storage devices. Android Data Recovery software allows you to recover your lost files, folders, images and other crucial data from android technology based devices including android tablet PC, Android smart phones and other android devices. Mobile Phone Recovery software recovers deleted data from various types of mobile phones. Mobile Phone Data utility provides recovery of your lost cell phone data. We also provide Mac Data Recovery utilities to recover data from Mac hard drive, flash drives, SD card, Memory sticks and other USB removable storage devices. Mac Data Recovery program recover deleted pictures, mp3/mp4 songs, documents and other valuable data from various types of data storage media. We provide Mac Data Recovery software for memory card, mobile phone, USB drive, removable media and other similar data storage device. Mac Professional Recovery Software helps you to recover lost data from Mac hard disk, pen drive, SD card, flash drives, memory sticks, USB digital media and other types of data storage devices. Mac Digital Camera Recovery Software recovers lost photos, videos, images and other priceless pictures from digicam. Photo Recovery utility supports picture recovery from all major brands of digital camera. Mac Digital Pictures Recovery is read only and non destructive tool to recover lost precious moment digital photographs, snapshots and other valuable pictures. Utility ensures picture recovery from major brands of HDD and USB drives.